Heat oven to 350°F. Grease and flour 24 mini muffin cups. Place 1 cookie dough round in each muffin cup. Gently press thumb into each dough-filled cup, making small indentation. Fill each cup with about 1/2 teaspoon chopped pecans. Bake 15 to 20 minutes or until light golden brown. Cool in pan, about 10 minutes. 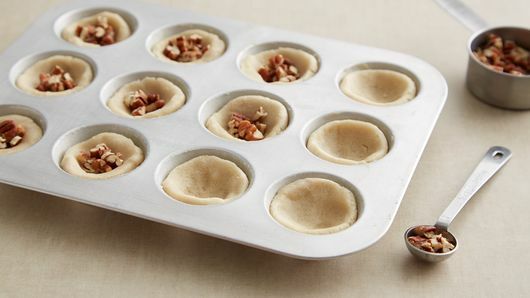 To remove from pan, gently turn cookie cups until they turn freely. In medium bowl, mix whipped topping and maple syrup. Spoon about 1 tablespoon filling into each cup. Top each with pecan half. Store cookie cups loosely covered in refrigerator until ready to serve. 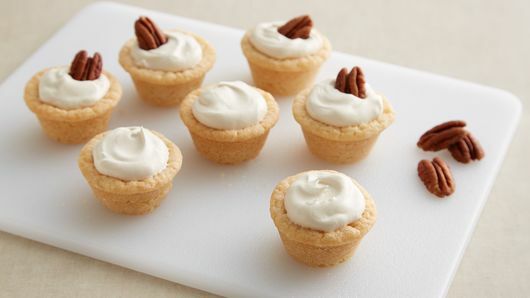 You can make the cookie cups the day before serving; store in covered container or resealable food-storage plastic bag. 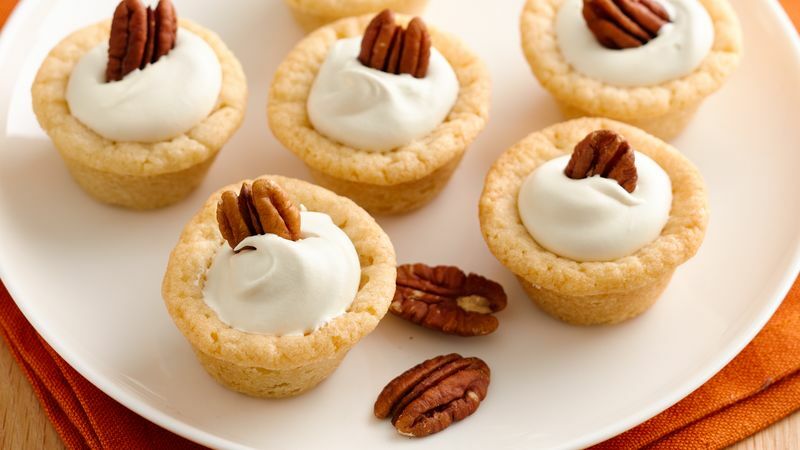 Fill the cookie cups up to 6 hours before serving; keep refrigerated.